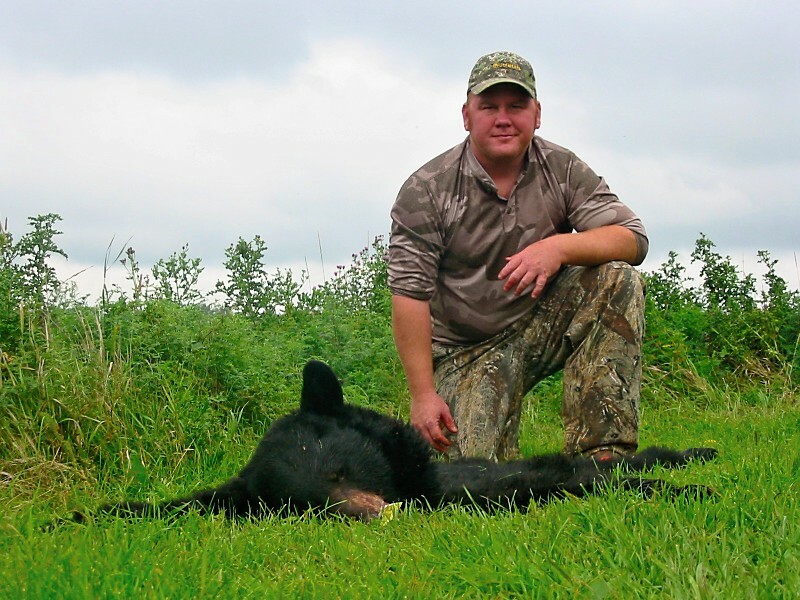 September 09 Steve went to Canada on a Bear Hunt. 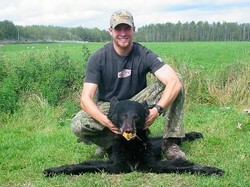 This hunt was different from many in Canada as they did use hounds to tree the bears. They did real well and you can see the results below. 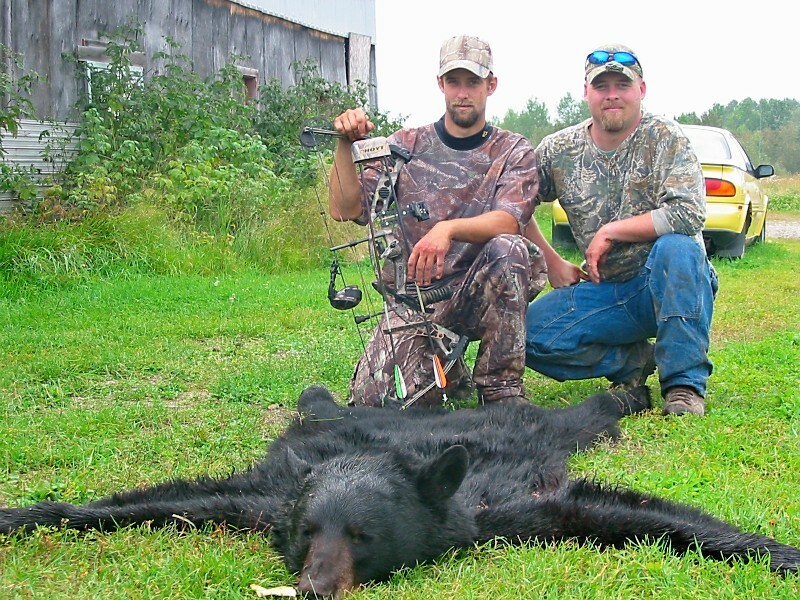 One fella shot his bear with his bow. 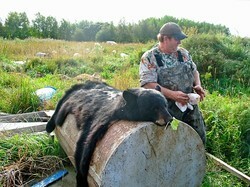 Take a look at the pictures taken at that hunt in Englehart in Northern Ontario. Jigger is half Plott and half Cur. Steve said although Jigger only has one eye (which he lost to a porcupine quill) he is one of the best bear dogs he's ever seen. He's the only dog ever featured on this website that wasn't a walker! 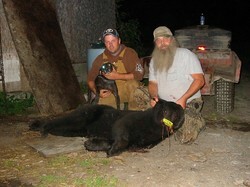 Shown above is Steve with his bear along with Benji and "Jigger". 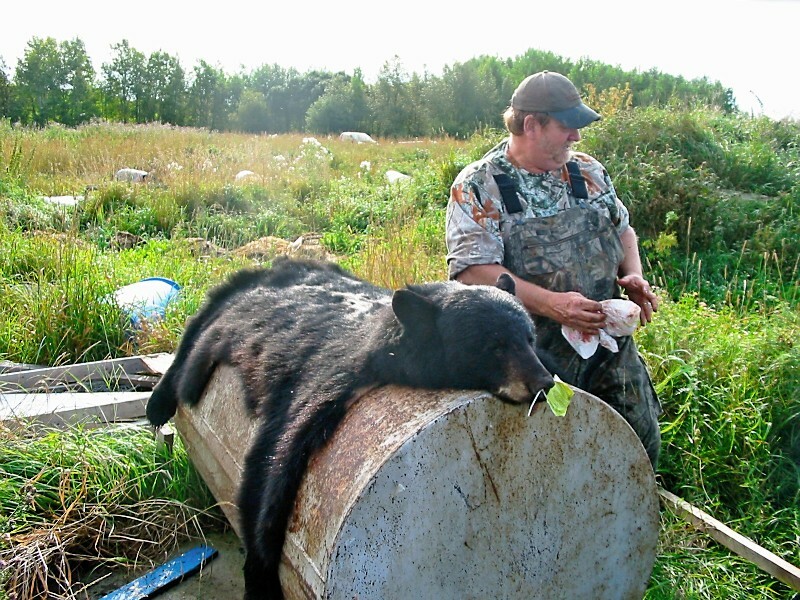 Glenn Chapman and his Bear. 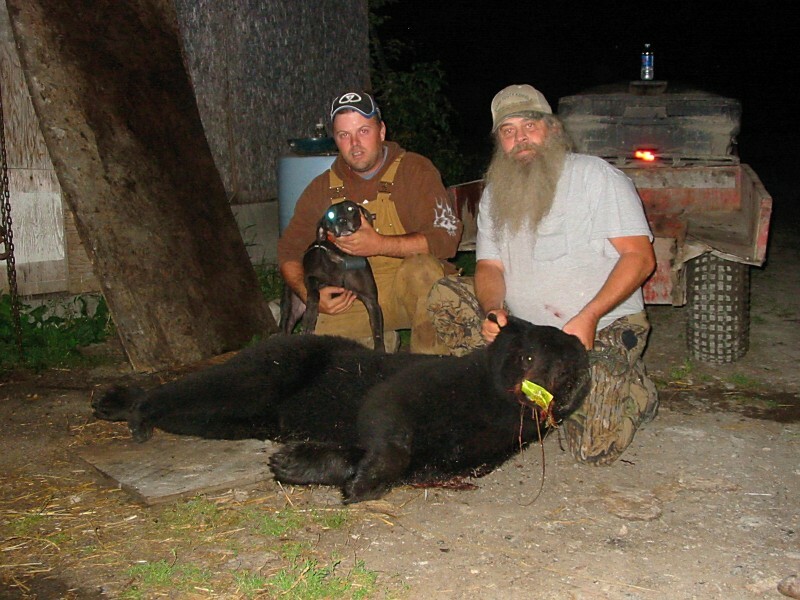 Ricky Forrest got a nice bear with his Bow. Also shown is Steve's son Jason. Our Texan friend, Cody and his Bear. 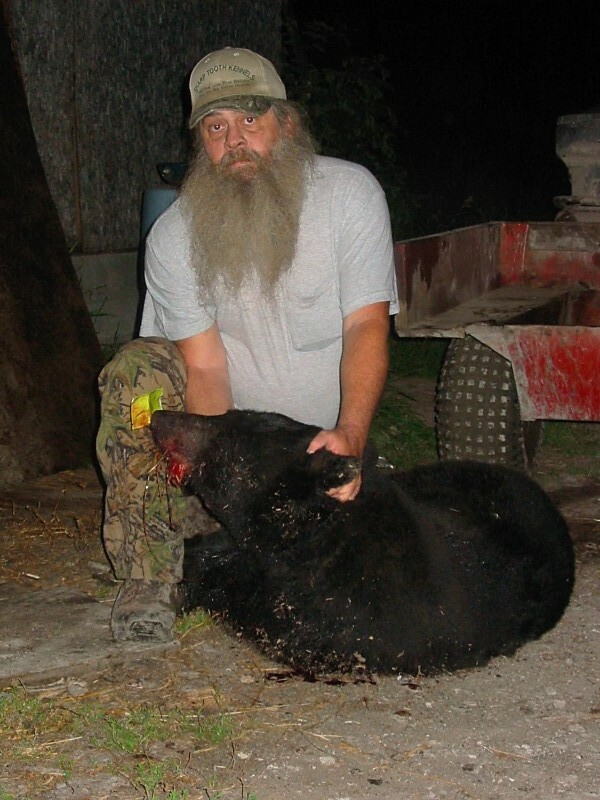 Another Texan, Austin and his bear.